Where can I find CNA classes near me? How do I practice for the CNA skills exam? Where can I take a CNA practice test? We can help you with all of the above questions, as well as filling you in on what a CNA does. Read on to learn more about the day to day responsibilities of a CNA. Certified Nursing Associates, also known as CNAs, work in a wide variety of healthcare settings, including doctor’s offices, hospitals, nursing homes, and the homes of those in need of medical care. While this is a sought after position for many, not everyone is certain how to cover all of the tasks required when asked, “What does a CNA do?” Their tasks will depend on the setting where they work, but they generally will be doing the same type of work. The following are several of the most common tasks performed by the Certified Nursing Associate. Though many CNAs choose to work a night shift, those who arrive in the morning will begin by helping their patient through a morning routine. First, they will help the patient get dressed and attend to hygienic needs, such as brushing teeth. Some patients require more help than others. For example, an elderly patient who has had a recent stroke may need their caretaker to fully dress them and assist them with using a bedpan, while someone recovering from a surgery will be able to pick out their own clothes and use a toilet with only minimal assistance. An important part of daily CNA work is preparing and serving meals to their client. Anyone wondering what does a CNA do every day should know meals are prepared during the day and night shifts. Many patients have specific dietary needs, such as diabetic patients or those with allergies. At facilities such as nursing homes, the food will be prepared by cooks while CNAs are responsible for actually delivering it to the patient. In situations such as a client’s home, the caretaker will both make and serve the food themselves. Because of their close contact with food, a CNA is usually required by state law to obtain up-to-date food handlers permit. When not occupied with other tasks, much of a CNA’s time is spent ensuring the patient is living in a clean, organized environment. Cleaning out soiled bedpans, wiping counters, changing sheets and doing laundry are all tasks that fall under a CNA’s job description. Larger facilities may have a janitor to do the more general cleaning tasks, but both nursing homes and residential homes need a CNA to take care of personal chores. Working so closely with patients gives the caretaker the opportunity to bond and be an emotional support for their client, an important aspect to take note of for those wondering what does a CNA do. Whether you go to the hospital or nursing home, it is usually the Certified Nursing Associate that is assigned to take vitals. Blood pressure, temperature, pulse, and respirations will be taken and documented for each patient. Any abnormalities will immediately be reported to their nurse in charge of the unit. Assisting with patient hygiene is another task that is carried about by the CNA on duty. This may include shaving facial hair and showering. The CNA is responsible for making sure daily care is done properly, whether assisting the patient or doing it for those who are unable to do it alone. Other hygiene care may include denture care and trimming fingernails and toenails. Each patient’s mobility will be assessed and the CNA will be directed in the best way to assist them. Some may only require someone to walk beside them, while others will need to be moved using mechanical lifts, such as the Hoyer Lift. The Certified Nursing Associate will be properly trained with any lifting device to ensure their patient’s safety. It is also the responsibility of a CNA to follow the orders put forth by their charge nurse or attending physician. Some of the orders may include assisting in small procedures or bandage changes. 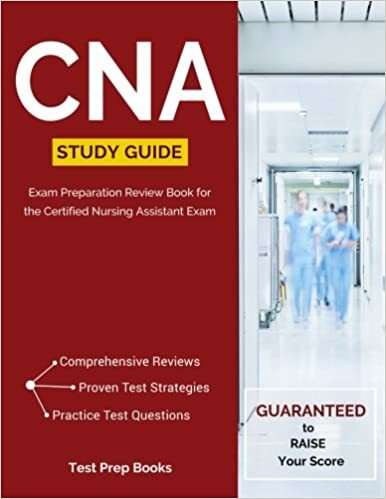 The knowledge base of CNAs is similar to nurses. CNAs work with patients of all ages, from infants to elderly adults. CNAs need to know medical terminology, legal aspects such as patient rights, infection control, medical documentation skills, how to perform CPR, and how to safely transfer patients. An important skill for CNAs is communication, both with patients and coworkers. While CNAs take orders only from nurses, they are the most hands-on part of the healthcare team and will be required to communicate with doctors and therapists as well. Whether you plan to advance in the healthcare industry or you feel the job of a CNA is perfect for you, it’s important to know what a day in the life of a CNA is really like and what do CNAs do on a day to day basis. Along with the many required tasks comes something many jobs don’t have; a sense of purpose and the feeling of truly making a difference in someone’s life. Schedules are usually flexible in CNA work, although when first beginning a new position you may be given the least desirable shifts. There are overnight shifts as well as daytime shifts. Many CNAs are able to work part-time or on a relief schedule (as substitutes who are called when a regularly scheduled CNA is out). In most facilities, you’ll work closely with other CNAs who are on your same shift schedule. CNAs are usually assigned a few patients whose care they manage the entire shift, however, CNAs often require assistance from each other for transferring or repositioning patients. The CNA job description makes for busy and sometimes challenging days, however, the flexible schedule and joy of caring for others are benefits to this career path. Additionally, the relatively cheap and quick training means that you could be a practicing CNA just months after making a career choice. Because nearly all medical facilities employ multiple CNAs each shift, CNA jobs can be found anywhere in the country.